Three stores and rented buildings on Jalan Kemajuan No. 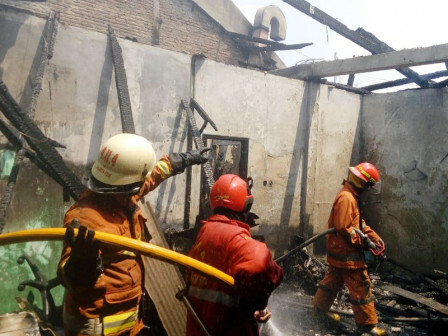 66, Pesanggrahan, South Jakarta were razed by fire on Wednesday morning at around 9.35 AM.
" Everything is fine. No casualty in the incident"
Prawito, Sector IX Head of Setiabudi Sub-district, South Jakarta Fire and Rescue Sub-dept. disclosed that firefighters managed to put out the flames at around 10. 40 AM. "We send 15 fire trucks to the scene," he expressed, Wednesday (10/12). It was triggered by leakage on regulator and hose of the LPG gas. The owner suffered losses more than Rp 300 million. "Everything is fine. No casualty in the incident," he said.